Note: This is a BETA version and still under development. Due to this and the extent of this project, it's still likely to contain bugs or even create new bugs, when releasing new updates. So if something isn't working as intended, just message me and tell me what's wrong. I try to provide a solution as soon as possible. You can find video footage of this profile pack below. A demo version has already been released a couple of months ago, which you can find here. The 45-60 part is currently work in progress and planned to be released in July / August. There will also be an overall overhaul of the 1-40 path in that time, to fit to all the new stuff added over time and make the profiles more efficient. It tries to simulate a natural way of questing, as a human would, changing zones frequently and coming back later. 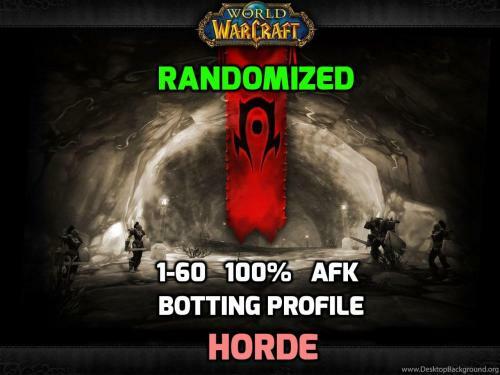 The general path the profile follows is close to how I myself have played my characters in Vanilla / TBC / WotLk. This profile pack has been recorded and tested on Eylsium / Light's Hope! These profiles now use a custom authentication system, to provide more security for me and my users. It has unfortunately become necessary to add such a system, due to more and more cases recently of sharing or even trying to resell them. This system links your Rocketr Order ID (which you can find within your purchase / delivery email) to your current IP, preventing multiple users from using the very same Order ID. This ID has only to be entered when running the profile for the very first time on your current machine. After changing your IP while already running it before, you have to wait ~30 minutes before the system allows processing. Important: If this new system causes issues related to your setup, don't hesitate to contact me, explain me your point and we will find a solution. Special thanks to @Matenia for testing, general advice and providing me a free copy of his Mage Fight Class! Thanks to @penumbra & @Greens420 for their frequent feedback and bug reporting! I am the sole creator and owner of these files and I am not associated with the wRobot company in any way. It consists of ~3 hours of the first half of Loch Modan between the grinding parts of my free 1-18 profile. Taxi (take taxi, get taxi node) is fully scripted, so that the automated taxi won't cause any trouble. 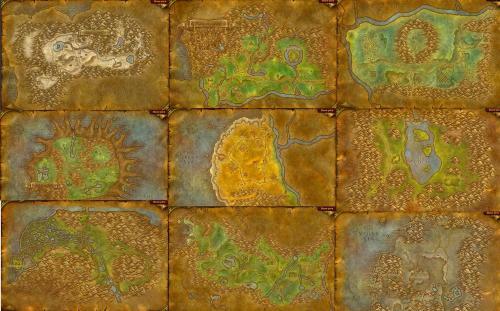 Level 1 to 50 support for Vanilla/TBC Many quests and quest chains done to get good XP Rates! Future Updates will include more levels for free! Automated Updates! The Profile updates itself on every start. Automated Buying of low level weapons & armor Buyer-Exclusive Discord for help and fast updates All 3 Starting Zones included (just start the profile) All in one Quester Profile - Easy to handle! Improved loading time! Very Big Routes to avoid Bot Trains as much as possible Your Bot will make sure to get important Flightpaths! [Paid]This Plugin offers so many features that I will not list them here. Must have. Human Master Plugin by Matenia [Paid] A solid Fightclass that is able to handle 2 mobs or more. e.g. Ordush's BM Hunter for Vanilla [FREE] Using the Plugin "WhatsGoingOn"! My profile is documented. WhatsGoingOn Plugin by Matenia [FREE] Use my Discord for Bug Reports, I will fix them as soon as possible. (Link in the Purchase E-Mail) [FREE] Using the free Accept Group Invite Plugin so you can team up with others. 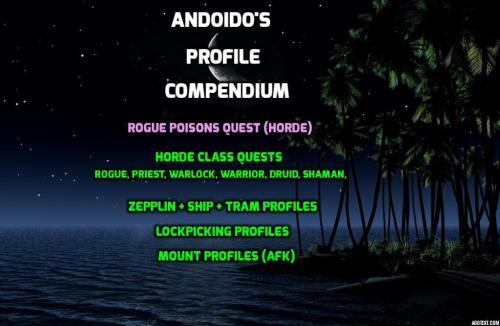 Accept Group Invite by Droidz [GOLD] You have to spend some gold on gear for warrior / rogue classes! Buy the Profile & Wait for the Email! Download the Profile from the Email. Note down the ORDER ID! (At the top of the Purchase E-Mail) Start the Profile with your Bot (As a Quester File!!!) Enter the Order ID in the popup window and press enter to authenticate your product. Close the popup window with the Order ID before the error appears. you should get level 2x in the barrens with no problems. 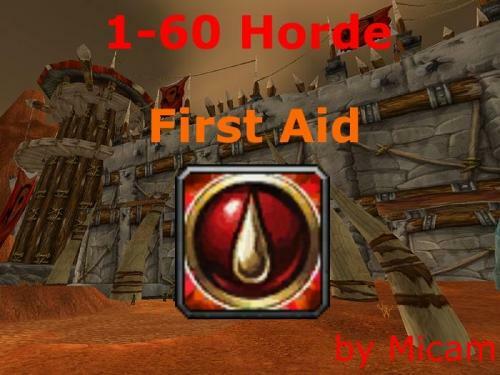 Here is my profile to level First Aid from 1 to 300, 100% afk. The profile is designed for Vanilla but he is compatible with TBC/WOTLK. i am not associated with the wRobot company in any way. completely automated profession skilling. This pack levels mining and engineering. You don't need to do anything. 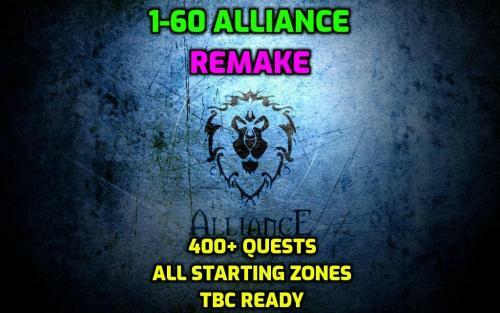 The demo contains a showcase for alliance side. It will level your engineering to 50 and show you the basic functions of my profile. 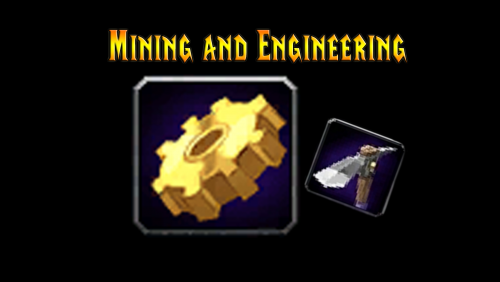 Ever wanted to skill professions? Fear no more. Wrobot can do it! 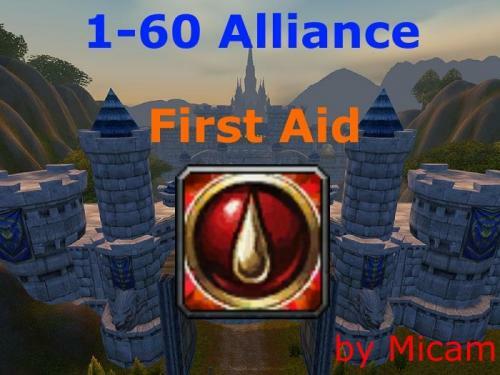 Important: If you are HMP User pls disable First Aid! I want to thank @Ordush for making this profile possible. He has helped me a ton with the lua code. Thanks alot my friend. A free quest/grind file that i use for fresh gnome / dwarf bots 1-12. Like always it works best if you can send a lvl 5-7 green weapon to the bot, i want to add auto weapon buying at lvl 7 in the next few days. I have already added low level auto armor buying for gear dependant classes (Warrior, Rogue, Paladin, Hunter). If you have any additions / ideas let me know and we can incorporate them. 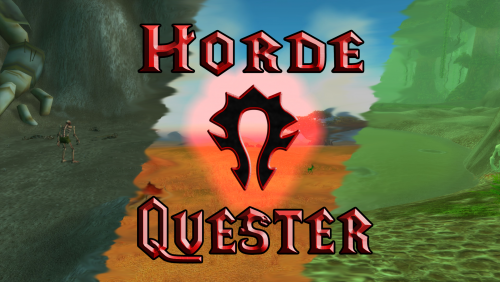 A tested Alliance Human Quester for Vanilla 1.12 Servers using Wrobot. 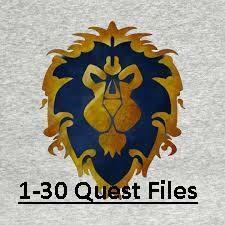 This product is a single profile for 1-30, plus a single 30-35 file using the quest framework. Quests in human + Dwarf zones. There is grind in this profile ( As its Vanilla WoW this is expected), however majority of the EXP comes from completing / turning in quests. Starts in human start zones and moves between zones in Eastern kingdoms as it levels. Does not take the boat to Kalimdor. Required bot to start at level 1. Release v1 will be the 1-35 release. Once feedback input has been included will break the file down to allow different starting levels. Preferred classes are Warlock, Paladin, Hunter, Druid and Priest. Mage is passable. Rogues and Warrior's may struggle( As normal with Vanilla WoW). If you have any feedback I'm always open to ideas and if you like the file post a review! 30-40 is in progress. Price will change with the addition newer content. Existing buys will not need to repurchase for new content.